If you can’t stand the cold and are thinking of emigrating or are just genuinely interested in hottest cities in the world (we’re talking temperature here), fear not – here’s our list of 11 cities with the highest average temperature in the world. Our list of 11 countries with highest average temperature in the world might come in handy as well, but 11 cities from our list don’t necessarily have to be the members of these 11 countries. While some countries are smaller than certain cities’ metropolitan areas, they are usually much larger. This means that their average temperature depends on a number of factors and cities don’t necessarily have to follow that pattern. While countries tend to exhibit different climate patterns in their respective different parts, cities can usually be read like a book. Yes, metropolises do tend to have some variations due to their microclimatic factors, but these differences are usually minimal. Some cities border with high mountains and this is where temperatures differ the most, but then again, mountains can’t really be considered parts of cities in question. What I’m trying to say is that while countries and their temperatures can fluctuate, cities across the globe usually feature steady figures. This is why their temperature depends on fewer factors than those of larger land masses which countries certainly are. However, most of the rules apply in both cases. 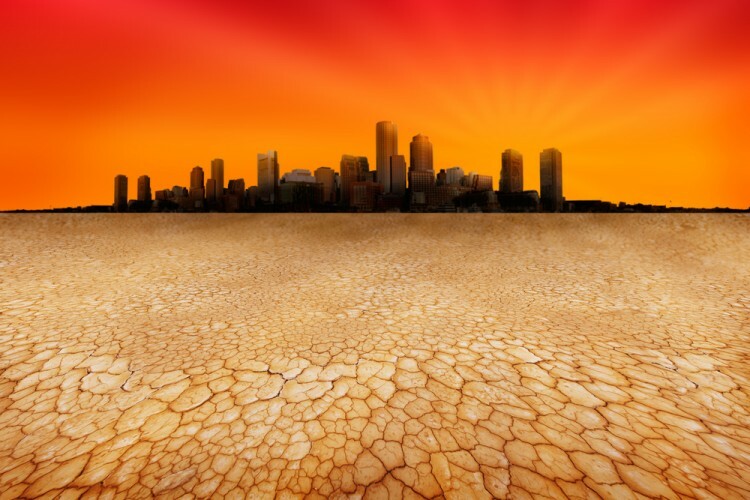 Hottest cities in the world are found in the torrid geographical zone and usually in either desert or tropical areas. Now it’s becoming interesting. Some cities might exhibit extreme temperatures during summer and not be as hot during the winter at the same time. This means that a city might be hotter than any of listed cities and still don’t make the list of 11 cities with the highest average temperature in the world. We will only consider average annual temperatures which can be quite different in the end. This ensures that hottest cities on our list are actually as consistent as possible throughout the year and not only hot during July or August, for instance. Bear in mind the fact that we’ll, furthermore only take daily averages and not daily maximum temperatures. We also won’t consider smaller cities and towns as they represent majority compared to large cities and metropolises. Only cities with more than 250,000 inhabitants in their metropolitan areas will be taken into account. Finally, we have used a couple of sources and mashed the data in order to be more precise. Some of the sources have a very long period of temperature measuring, while others have only measured temperatures for a while. This is why it’s important to compare the data and find the average since, as you know, the climate tends to shift during prolonged periods of time. Our main source is Weatherbase, which, sadly, tends to round off most of their figures thus making it hard for us to clearly divide the number of cities with the same average annual temperatures. That’s why we have used World Meteorological Organization’s World Weather Information Service, which tends to offer much more precise data. Sadly, WWIS doesn’t offer data for a number of cities that could (and some will) make the list of 11 cities with the highest average temperature in the world. This is why we have resorted to some local and, possibly, not so accurate sources like weather2travel, Indian Meteorological Department and others like National Oceanic and Atmospheric Administration or Hong Kong Observatory. Hopefully, you can now see how hard it is to compile precise and thoroughly checked data as collective data on world’s hottest cities doesn’t exist.